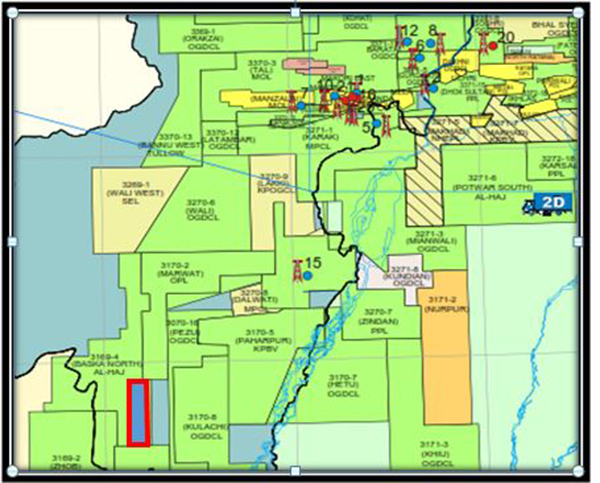 DIK West Block - KPOGCL - Oil And Gas Company Ltd.
DIK West Exploration Block having an area of 300 Sq. km, Block is located in D.I Khan (88.55%) District of Khyber Pakhtunkhwa Province & FR DI Khan (11.45%), (Figure 1). The Block lies in Prospectivity Zone-II (Figure 2). Based on surrounding discoveries in Kohat-Bannu basin i.e. Chanda, Mela, Nashpa, Makori, Maramzai and Mamikhel, DIK West Block is considered to be prospective. The Block is located about 300 Kilometers from Peshawar towards South West and 500 km South West from Islamabad. It has access via Indus Highway, where up-to-date facilities are available due to oil & gas exploration and production activities/discoveries in nearby areas. 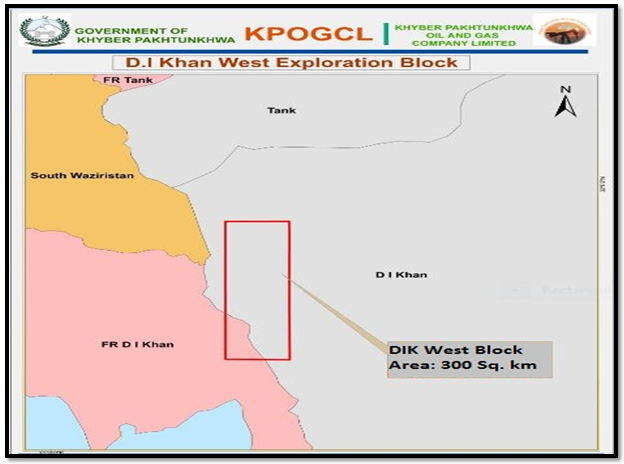 KPOGCL has designed the DIK West Block and is inviting both national and international E&P Companies interested in participating as Joint Venture with KPOGCL in DIK West Exploration Block. KPOGCL is looking forward to farm out its 49% working interest to other E&P Companies to assist KPOGCL regarding Geological, Geophysical and Engineering studies and an initial one exploratory wells drilling program. Work Program is to begin in 2017 leading to the drilling activities in 2018. Full program cost (Capex) is estimated at US$ 40 million. The Province of Khyber Pakhtunkhwa has a strand of discoveries over the past 15 years, beginning from the Chanda Oil field Discovery in 1999 which was a major achievement of Oil and Gas Development Company Limited (OGDCL). In years 2002 and 2005 MOL Pakistan (Hungarian Company) showed interest in Kohat Basin, who discovered Manzalai and Makori oil fields in Tal Block.